I’m proud to identify as a transhumanist. A symptom of this (or perhaps the root cause?) is that I spend a lot of time pondering what it means to be human. SOMA, though… While playing it, I felt a bit like Alice, tumbling down the rabbit hole; not knowing what was happening, or where it would end. 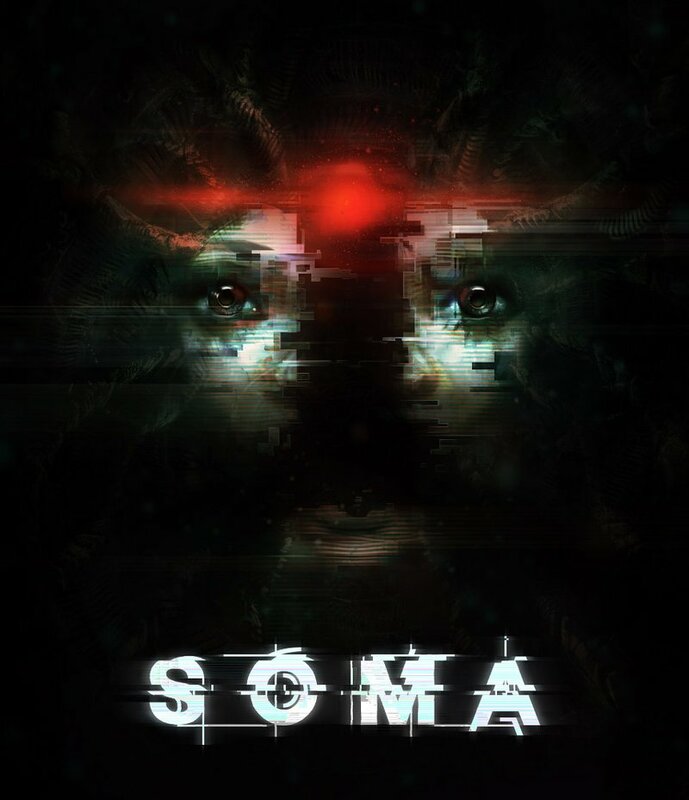 SOMA is not the constant pants-crapping horror experience that many may be expecting from Frictional Games coming off of Peunumbra and Amnesia, but those elements are still present in abundance. SOMA is a first-person existential crisis that’s terrifying to even think about. It’s the only game where its own self-awareness is merely another level that’s been crafted to reiterate upon the game’s fundamental premise. It’s a game so deep that its occasional journeys into the shallow end only serve to reinforce its depth. Literally anything I could describe about it (or can’t, for fear of spoiling the plot) is a direct reinforcement of the micro and macro level Cronenberg-esque eXistenZ-ial mindf*** that is the SOMA experience. The game’s initial loading screen, which is corrupted, fragmented, and accompanied by glitchy audio sets the tone for the events to come. Not in a bad way; no. 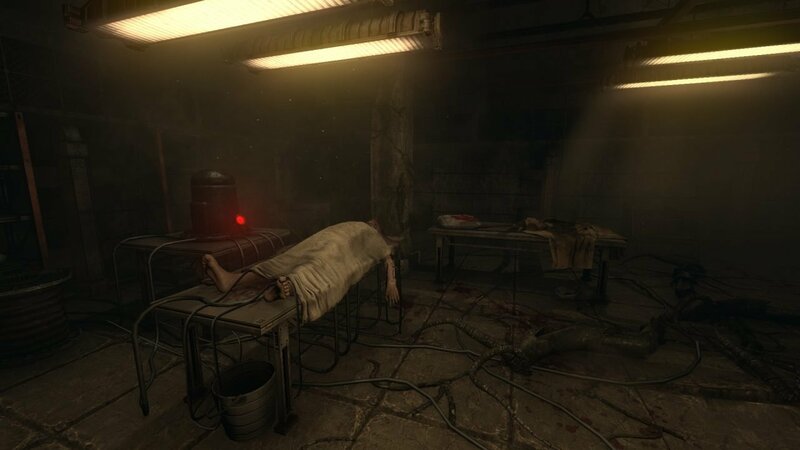 Instead, it’s one of the many ways in which Frictional Games have set about building upon their theme for SOMA. This mechanical distortion is also repeated as you approach the game’s various inhabitants, whether they be benevolent or malevolent. In those who believe themselves to be human, it accents the tragedy of their corrupted mindset. Around hostiles, however, it’s a terrifying effect, even though it manifests itself in the same manner. Each of the neutral beings you encounter tends to be very friendly, jovial even, but tragically oblivious to being lost in a reality not their own. It’s hard not to pity them, even if you don’t take them for human. It’s as if there’s an impenetrable wall between the actual universe and their minds. Oblivious to the obvious; “I can see you’re clearly not human. Why can’t you?” I think to myself about how subjective and fragile reality is as my mind wanders to Orr’s paradox in Joseph Heller’s Catch-22. Yet another philosophical thought experiment to haunt my thoughts for the foreseeable future. Little can be said about the game’s plot for fear of spoiling even the slightest bit of the rollercoaster ride to be had, but rest assured, even the twists you may predict are but a fragment of the greater picture. 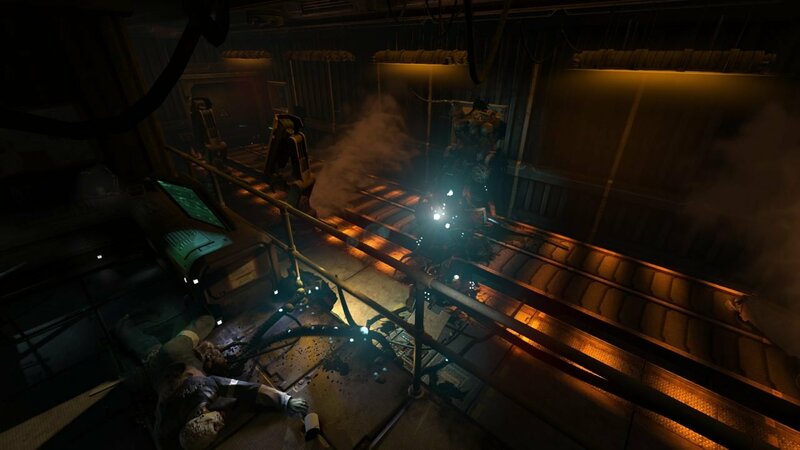 SOMA has more than enough to keep the player engaged and guessing. So much of SOMA is about the experience as opposed to the gameplay that its environments and audio are of the utmost importance. Thankfully, the environments are beautifully detailed, and the audio is horrifyingly immersive. The game is especially frightening with a good surround sound headset, and this can also help with a couple of the game’s trickier challenges. From every viewpoint, the setting of Pathos-II is impossibly detailed and I found myself spending hours of additional time reading warning labels and notice boards, simply because they were so seamlessly implemented. Even the minor gripes I have about the game, I quickly rationalized away by the logic behind one of the game’s plot twists. This was rewarded by key dialogue points later in the game that reinforce the same conclusion I came to. It’s a clever little trick for Frictional Games to have pulled off, and it absolutely works in their favour. What’s interesting is that I can’t tell if any of this is the result of technical limitation, or engineered intent. If you ask me, that’s some pretty impressive wizardry. Not in the manner of OZ behind the curtain, justifying shortcomings (because: reasons), but instead that those perceived shortcomings are so minor and so easily overlooked that my first assumption was that they were intentionally created to add yet another layer of depth to the SOMA experience, and I’ve yet to be proven wrong. Here’s the deal: SOMA is not perfect; or it is perfect. I’m not sure which, and I can’t elaborate on the reasons without spoiling the plot. And no, the irony of pondering creative intent on a meta-level while dealing with the subject matter of existence and human identity is not lost on me. The only thing that stuck out to me after an entire weekend with the game was the very occasional un-dithered shadow, and that’s an offence I can easily live with in exchange for everything else the game gets right. Even those live-action teasers from last year play a role in the game, as they’re referenced at a certain point, and the characters within them appear in the game as well. 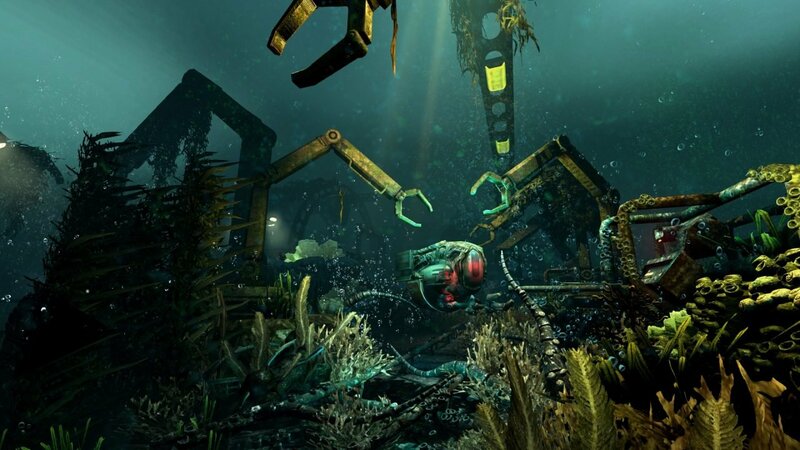 Frictional Games appear to have had a very clear picture of what they wanted SOMA to become, and they don’t appear to have lost sight of that during any point of the game’s development. Recent high-profile releases have felt increasingly more compromised by time and budget constraints and concessions made to their gameplay. What stands out about SOMA, perhaps more than anything else, is that it feels complete. There never once feels like a point during its story where someone behind the curtain decided that it’s okay to cut a few corners or to pad the dialogue. It’s a complete experience, and it feels like the game we deserve. Every so often, there comes an event so profound and unprecedented that those with the privilege to witness it know that things will never be the same. While it may take years—decades even—to fully appreciate the scale and scope of the impact, some events simply change the way we think about them for ever. The advent of gunpowder; forging steel as opposed to iron; germ theory; flight; automation; and more recently, radio, television, and digital interactive media. SOMA is one of those once-in-a-generation experiences that so wildly defies both expectation and assumptions that I can say with confidence that it will forever impact how we define video games. By the most literal of definitions, SOMA is a masterpiece. SOMA is a first-person existential crisis that’s terrifying to even think about. It’s the only game where its own self-awareness is merely another level that’s been crafted to reiterate upon the game’s fundamental premise.